The Pittsburgh Steelers return to the Laurel Highlands July 26-August 14 for Steelers Training Camp at Saint Vincent College for the 53rd straight year! As someone who has attended camp as a guest and a member of the media, I&apos;ve put together some tips to help you meet the players, avoid the crowds and stay cool as you enjoy watching the Black and Gold. 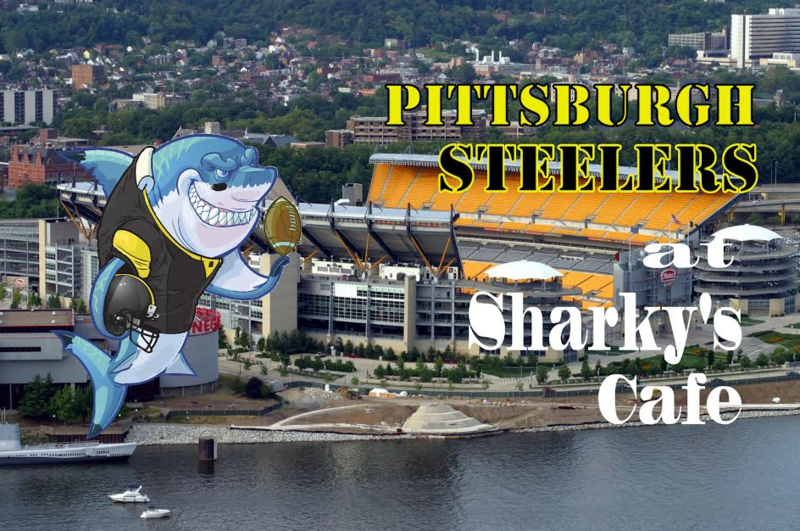 (For more general information about dates and what to pack, view our Steelers Training Camp page). The Steelers usually come to the field 5-10 minutes before practice begins. Line up just below the stairs and along the fence from the Carey Center/SVC Bookstore, which I&apos;ve circled in yellow on the map below. Players usually don&apos;t sign autographs before practice, but will often talk to fans, high-five or stop for a selfie. To get the best spots, plan on arriving 30 minutes to an hour before practice begins. 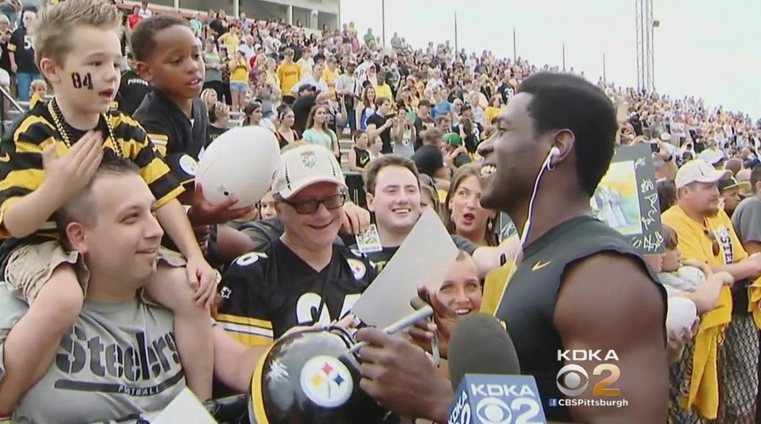 Autographs aren&apos;t a guarantee at Steelers Training Camp, so follow these tips to increase your chances at success. While many players rush down to the field at the beginning of practice, many will hang around after practice to sign memorabilia or pose for photos. If you&apos;re sitting on the hillside at Saint Vincent, I recommend coming all the way down to the fenceline, which I&apos;ve circled on the map below. You can also hang out below the bookstore, which is where players will pass to get back to the locker room. Remember to have your pen ready and phone camera turned to selfie mode so you are ready to meet your favorite player when you get the chance! 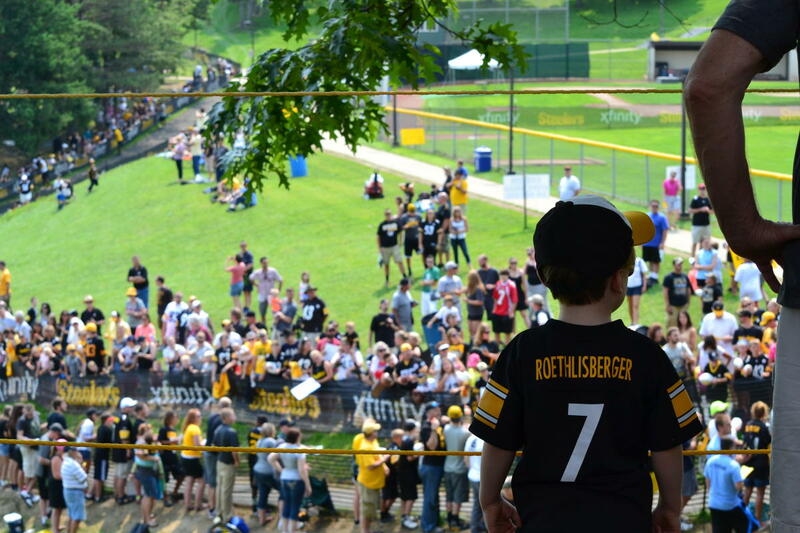 If you&apos;re looking for an all-day Steelers experience perfect for families, be sure to attend Friday Night Lights Aug. 3 at Latrobe Memorial Stadium. During the day there are tons of games and prizes, facepainting, great food and even autograph sessions with Steelers alumni. Keep an eye out for the Super Bowl champion Lombardi trophies and your chance to take a photo with all six! In the evening, head inside the stadium and cheer on the Steelers as they practice under the lights! Tickets are available at the gate or by calling 724-539-4236. Training Camp is much more than practice and autographs. There are tons of activities for children to participate in, too! Sign up for the Play 60 Fun Zone for one hour of football-themed exercise before practice begins. 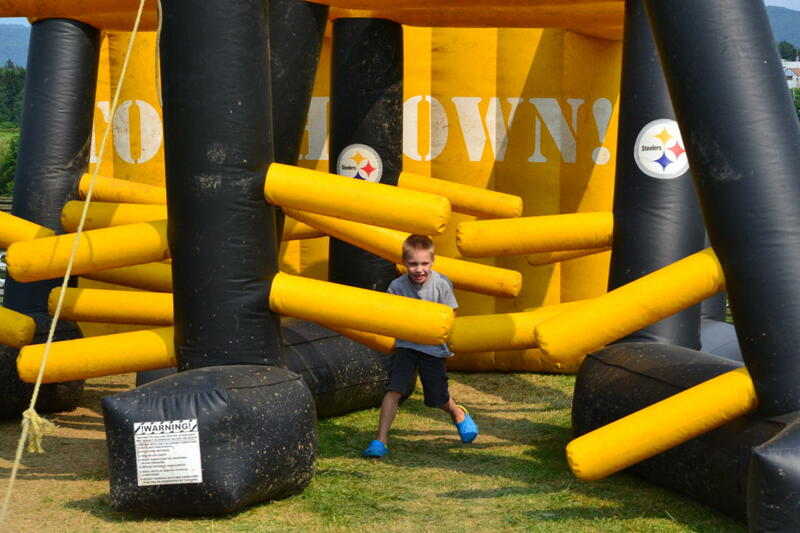 At the entrance to camp, you&apos;ll find the Steelers Experience where kids can test their arms, dive through an obstacle course and more. Plus, kids will love getting their faces painted and the Steelers-themed photo booth. If you want to get even closer to the action and watch the Steelers practice on the field (trust me, it is pretty cool) there are a few chances to win VIP passes every day. To maximize your chances, download and register the Steelers App for your smartphone and sign up for Steelers Nation Unite, making sure you RSVP to Training Camp on their website. Finally, high school students should track down the Saint Vincent College booth for an additional chance to win on-the-field passes. 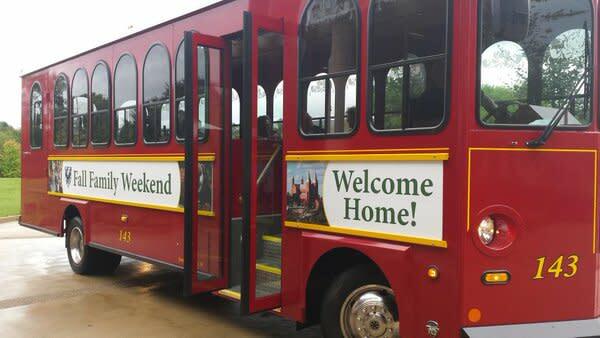 If you see a red trolley driving around campus, get on it. These trolley rides are probably my favorite hidden gem of Steelers Training Camp. Jump aboard for a tour of the beautiful college campus in glorious A/C. 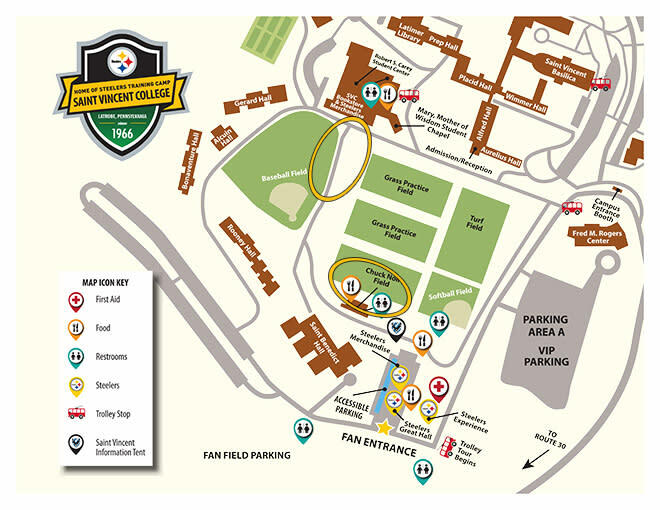 Plus, the trolley is an easy way to get from the entrance of Training Camp to the bookstore, where you can find great Steelers merch or try to find a spot for autographs. For more tips about exploring the college, check out their blog. It&apos;s hard work to sit out in the sun and cheer for the black and gold. Reward yourself with some great food in and around the Latrobe area. Stop by Jioio&apos;s Restaurant in Latrobe for their one-of-a-kind pizza with sweet sauce and pastry-style crust, unique to our area. Or hit up Dino&apos;s or Sharky&apos;s, two sports bars just a few minutes from Saint Vincent. Both offer great menus, a large beer selection and some world-famous wings. I recommend the sweet and hot wings at Dino&apos;s and the Korean wings at Sharky&apos;s, two of my absolute favs. Do you have any additional tips for getting the most out of Steelers Training Camp? Let us know in the comments below!